You are here: Home / Forums / Symzio / Promote Symzio! Want to post Twitter and Facebook tweets in the forum? October 2016 – What have you been doing to promote Symzio or your site? August 2016 – What have you been doing to promote Symzio or your site? July 2016 – What have you been doing to promote Symzio or your site? Mar-Apr-May/2016 – What have you been doing to promote Symzio or your site? Feb/2016 – What have you done to promote Symzio or your site this month? Dec 18/2015 – What have you done to promote Symzio today? 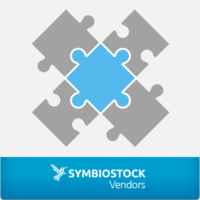 Dec 16/2015 – What have you done to promote Symzio today? Dec 14/2015 – What have you done to promote Symzio today? Dec 12/2015 – What have you done to promote Symzio today?